I read an interesting article on the “earthlodges” of Native Americans in the Dakotas the other day. I’d learned early in my life when the family moved from New York to “Indian Territory” – Oklahoma – that not all Native Americans lived in those portable teepee tents so prevalent on the plains. I knew the ‘civilized’ tribes of the southeastern United States were able constructors of log cabins for their permanent villages, and of course knew about those spectacular adobe pueblos in the southwest. And while I learned in junior high Oklahoma history about the sod-roofed shanties built by white settlers (and for which Oklahoma was famous), I’d never heard of earthlodges. Earthlodges are large round structures from 20 to 50 feet in diameter which are built to be much more permanent than the yurts that basically amount to a Mongolian version of teepee for migratory people. Lots of people these days have deck-mounted yurts that are popular as camp cabins or gazebos, but they’re not really something stable or well-insulated enough to live in full time. 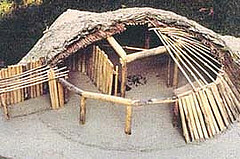 In contrast, the earthlodge is dug into the ground and framed with logs, covered with woven willow mats and then covered completely (except for a smoke hole in the middle of the roof) with mud and sod. Your basic hobbit house, but as its own hill rather than dug into a pre-existing hill. Of course, there are some modern earthlodge designs that combine aspects of natural landscaping and lodge building, which are actually quite nice if you don’t care much about windows. It would be quite easy to engineer one of these with skylights, so interior darkness can be alleviated. The original earthlodges were built communally, often housing between 15 and 25 people. They provided solid, very well-insulated shelter for harsh Dakota winters, and stayed naturally cool in hot Dakota summers. They lasted only as long as the palisade poles and main support logs lasted in the ground, about 7 to 10 years before they’d rotted enough to need replacing. Since it took only about a week for a group to construct an earthlodge from scratch, the old one would simply be torn down and a new one erected in its place. The old logs recycled into firewood made this village system quite efficient given that the Dakotas do not enjoy the thick, lush forests of the American southeast. For a new homesteader looking for cheap, eco-friendly housing on a tract of raw land, it’s not difficult to see how the problem of ground-rot could be simply eliminated by seating the anchor and palisade logs in concrete. The thermal mass of palisade logs plus dirt/sod can be nearly warm in winter and cool in summer as 3-foot thick adobe walls. More modern – and fully waterproof – coverings take the place of those woven willow mats, and fewer palisade poles would allow for regular insulated walls or an opportunity to place windows and/or exits to porticos, or to build storage rooms or closets off the main structure. For a truly permanent structure, some research on new under-sod waterproof roofing material would probably be a good idea. The niftiest thing about this kind of permanent shelter is that if your land is raw enough to need some clearing, the logs and poles can be taken as part of your clearing plans. These will have to be de-barked and dried above the ground, there are many good Do It Yourself books and plans out there for site-built log homes that have clear instructions on how to do this. If you’re planning to grow crops, the sod shouldn’t be hard to come by. Rather than a big central fire pit and large hole in the roof, a central wood stove with just a pipe running up through the roof will protect from the elements much better than the wicker baskets the Mandan people used to cover their smoke holes when it rained. It also strikes me that the side walls could be constructed of straw bales and covered with mesh and stucco or adobe instead of mud and sod and still be as easy to heat and cool. Some may consider rock as well, if the land has an overabundance of those that need removing before crops can be grown. Any of these alternatives for some or all of the side walls would make for a very handsome home. The sod roof does have great appeal, I’ve always envisioned a hobbit house with wildflowers instead of just more grass to have to mow. The interior, once you’ve got the central roof supports and planned your walls, can of course be framed and subdivided as you please for cooking sleeping and living areas, bathrooms and utility as you wish. The Dream Green link above also offers a plan for a ‘multi-lodge’ made up of several octagonal earthlodges connected to a front portico area. This idea offers the possibility for future expansion as the family grows. So chalk this up as yet another eco-friendly green construction to think about if you’re new to homesteading or are planning to build more structures on your homestead than you’ve already got. A far less modern (more true to origin) version of earthlodge would make a very serviceable combo barn, root/wine cellar and tool/vehicle storage shed. For as long as you can keep the livestock from eating the walls and roof, that is. We all watched in dread fascination as Superstorm Sandy hooked a hard left right where predicted off the coast of northern Virginia to slame full-force into northern New Jersey and New York City just days before Election Day. Its storm surge was every bit as devastating as predicted, and its 1,000-mile-plus wind field wreaked havoc and whipped up 30-foot waves on Lake Erie (20-footers on Lake Ontario). The storm whipped an arctic front around the back side and dumped feet of snow on southern Appalachia. Tens of millions lost electricity in the storm, and some have still not been reconnected. As we usually see in Florida and along the Gulf coast during hurricane seasons, home supply companies quickly ran out of portable gas-powered generators and other emergency supplies, even before we were treated to the appalling spectacle of a wind-whipped inferno taking out more than a hundred homes in Queens, which was above the surge and thought it was safe. I’m sure we’re all gratified that good forecasting and serious pre-storm planning as well as pre-placement of relief personnel and supplies kept the death toll down to less than half a percent of Katrina’s toll back in 2005. But we also learned that for all those portable gas generators that were sold to people who knew their electricity would go out, the attendant problem of gas stations being unable to dispense gasoline without power rendered most of them entirely useless. 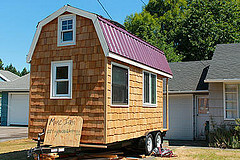 So I’m passing along an interesting blog article entitled Use solar to survive the next storm. Now, solar panels atop a pole in the yard aren’t any more likely to survive hurricane-force winds or 14-foot waves than your bird house is. But houses in New Jersey and New York that had rooftop solar panels fared very well – there are reports of considerable damage to shingles and gutters and such, but so long as the entire roof isn’t taken off, the solar panels up there should be fine. Now, we know that solar panels won’t provide any ready juice in the middle of the night, or when the kind of deep, rain-drenched clouds a superstorm brings are between you and the sun. But for emergency purposes you should have some batteries already charged and ready to take over at least a minimum of lighting, radio, charging of PCs and cell phones, perhaps even running your laptop or iPad for up to date information. Even your basic surge protector for computer equipment – the kind with an undersized car battery with converter built-in and plugs will serve the purpose until the sun is shining again. 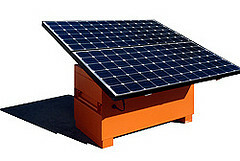 You can set it up to draw its full charge from the solar panels normally, even if your panels are wired into the grid. While that wiring is done, just insist on a switch that will allow you to use the solar panels exclusively whenever the grid is down. Here are some nifty portable solar generators that would in this storm have proven way more useful than a gasoline generator you couldn’t get gas for, once the next day dawned. Goal Zero offers emergency solar kits in personal, family and household sizes. Home Depot and Lowes have a variety of solar products and generators too, and the prices are getting more reasonable every year. Cabela’s outfitters offers portable solar generators too, a little tougher-built and a little more expensive. Truly industrial-level portables with steel containers of batteries are available through several companies, those by Mobile Solar are impressive, can even be sized for off-grid living. We homesteaders don’t generally live in big cities, but there are urban homesteaders all over the place these days coming up with sustainable means of living in cities. How about having street lights with solar panels and batteries? Solar powered stoplights and such as well, to switch over from grid whenever there’s an interruption? At any rate, for those of us who know enough science to be expecting increasingly violent weather from global climate change need to ensure our emergency supplies and power are well thought-out. It seems to me that NOT having to rely on the power company that’s been cutting service personnel for years to increase profits is better than sitting in the dark for days or weeks at a time. It also seems smarter to NOT have to find a source of gasoline in the aftermath of a hugely destructive event just so you can plug in your computer and charge your cell phone. Whether you just want an emergency supply or are able to install an ample rooftop array you can switch over when the grid goes down is of course dependent on your situation. But all of us should be thinking solar for this aspect of emergency planning. First the good news. The Boston Globs reports this week that Massachusetts’ largest utilities have signed long-term contracts for wind generated energy from six wind farms in Maine and New Hampshire at a mere 8 cents per kilowatt hour. Which is actually cheaper than electricity from coal [10 cents/kwh], nuclear [11 cents/kwh] and solar [14 cents/kwh]. The utilities – National Grid, Northeast Utilities and Unitil Corp. – are together purchasing 565 megawatts of electricity, enough to power ~170,000 homes. The Cape Wind offshore project in Nantucket Sound is expected to serve more homes overall when it is fully on-line, but the price per kwh will be higher. As more wind projects get built, the price should even out in the face of competition, so we may all look forward to something eventually cheaper even than natural gas. Which at 6 cents per kwh is now the least expensive electricity generation technology, but that will inevitably go up as gas reserves dwindle and environmental regulation puts a crimp in the destructive practice of fracking. Wind generation has tremendous potential in the most populous regions of the country, including the Megalopolis corridor from D.C. to Boston, and in Texas and California. The entire Great Plains is ripe for wind as well as solar, and solar technologies are enjoying a hefty level of research funding to see if its costs can be brought into competitive line with wind and hydro. New storage technologies for all renewable sources are also being researched and developed apace, while coal plants are being shut down and new ones aren’t getting built. Now for the less-than great news. Confusing and contradictory signals from the Obama administration about approval of the Keystone XL tar sands pipeline from Alberta through the heartland has a consortium of 25 environmental groups signing on to a letter to President Obama urging rejection of the project. Tar sands oil is the most environmentally damaging form of petroleum to capture and refine, making the pipeline a serious threat to efforts to battle global warming. Groups signing on are the Natural Resources Defense Council, the League of Conservation Voters, Environmental Action, CREDO, 350.Org, Public Citizen, the Indigenous Environmental Network, the Sierra Club and others. For years groups of indigenous people in Canada and the U.S., farmers and ranchers from Nebraska to Texas and citizen activists as well as environmental organizations have protested the project. 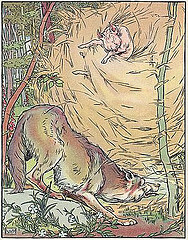 Those of us who have chosen to live our lives in such a way as to serve as example of a more aware and involved partnership with this home planet are not usually at the forefront of civil actions pushing for better government and corporate policies related to energy, but we do need to increase our outreach to those who are on the front lines. Please do check in on groups in and near your area, maybe attend some gatherings or subscribe to newsletters, offer what you can offer to help support this important work. Even if it’s some fresh organic food, a nice place to hold a planning meeting, or an offer of shelter for participants from far flung places, we need to be part of the needed changes on as many levels as possible. Who knows? There’s even a chance you could get to know some local/semi-locals who would love nothing better than to put in a little time on your project here and there, at planting or harvest time, maybe help with some very cool energy projects they could then use as inspiration to others along their travels and among their contacts. The real changes happen at home, not in D.C. Which seems always to be playing catch-up with what the people have already figured out for themselves. Changes that need a community’s commitment and support and labor are best done with the help of a community. So let’s get plugged in!